Hello! So I thought I would show you guys the shadows that I have in my MAC quad. I stayed over my friends house and these were the shadows I decided to take with me. Hepcat - I didn't actually choose this shadow. My Dad was in LA when he saw a MAC store and asked me what I wanted. (I mentioned the fact I trained my family to text me when they see a MAC store in my 100 facts post!) I asked for three shadows and the sales assistant told him to buy a quad and four shadows to fill it. So I picked three (all that glitters, mulch and stars and rockets!) and he picked out hepcat! It actually is something I would pick! I really like this shadow! I use it with Cranberry and also with Stars and Rockets! 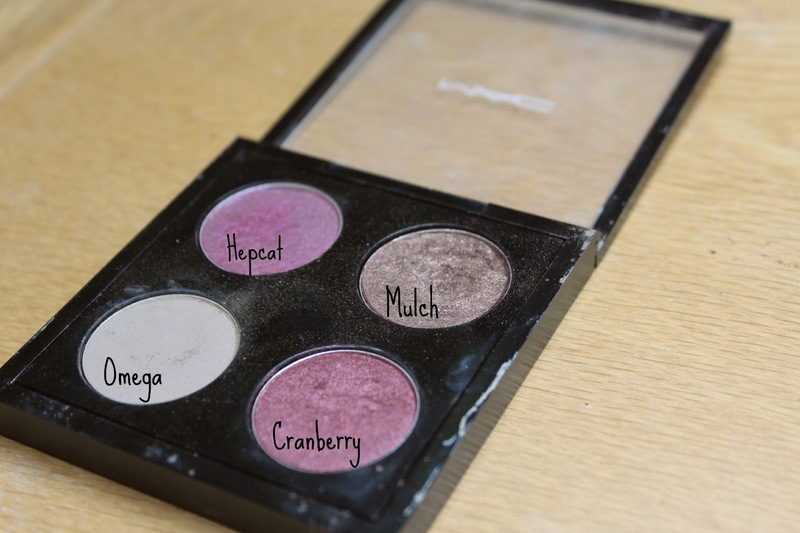 Mulch - This is definitely one of my favourite eyeshadows of all time! I use this all the time! 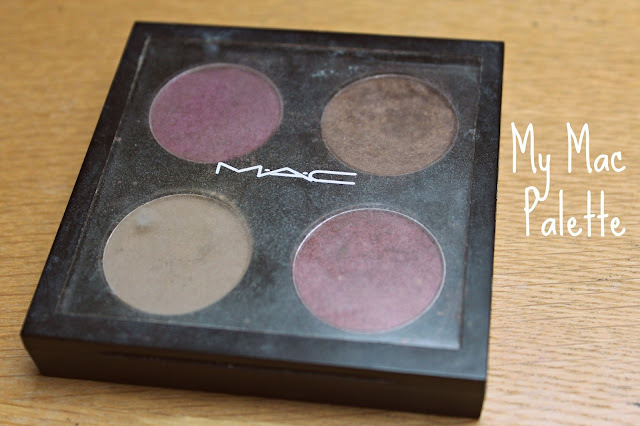 It is so beautiful and as with most MAC eyeshadows, it is super pigmented! Omega - In the pan, this looks really light! But I actually use this on my brows! I also use it in the crease sometimes! I think this is perfect for my brows, I have blonde hair so it's often hard to find a shadow to fill my brows with as I always seem to end up with brows that look way to dark for my hair! But Omega is perfect for my brows! Cranberry - I put off buying this for ages as I didn't really think I needed it. But I was in the mood to just buy something, so I bought it and I'm so glad I did! It's just the prettiest colour and it's so beautiful! I know a lot of people want to buy this but haven't bought it yet and I seem to have persuaded a lot of people to buy it! Whoopsss! But I would totally recommend it! OO great choice in shadows, I really want to try Mulch! 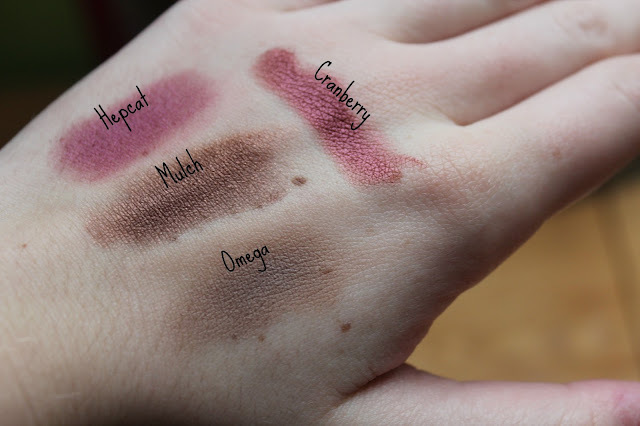 Its so strange how different omega looks in the pan compared to swatch! I love mulch! I've been wanting to buy some mac eyeshadows for ages but I'm not sure I can splash £46 on the shadows+palette! Worth it?? I'd be so grateful if you could check out my blog, I've only recently started!